Merhaba! That is hello in Turkey according to google if you didn't know. (If you are Turkish and I butchered that, I apologize.) We arrived in Izmir, Turkey yesterday to begin our tour of the seven churches! So while I am sweating the heat another guest blogger has stepped in. With the initial commonality of our first names, Brookelyn and I have created a friendship over Twitter without meeting despite us both being Arizona residents at one time! 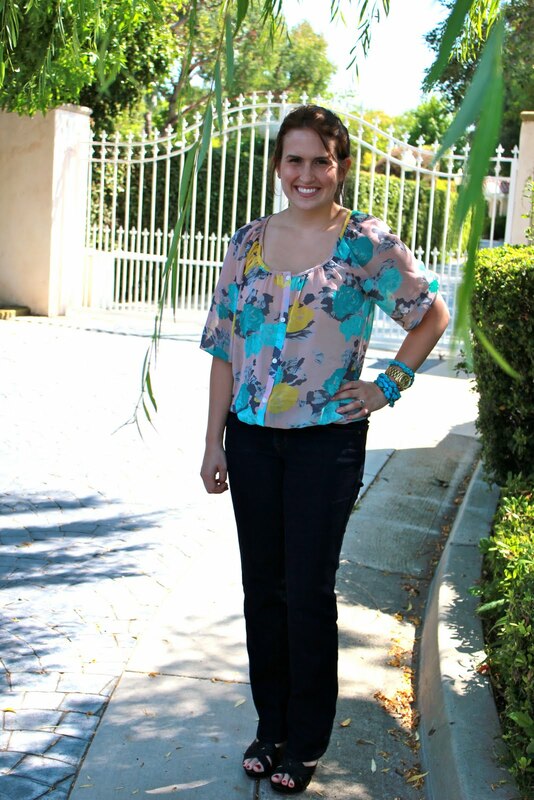 Hope you enjoy her post and creativity with wearing the same dress 3 ways, thank you Brookelyn! Hi everyone! I'm Brookelyn, and I blog over at Best of Bklyn but today, I'm filling in for Brooke while she's on her European adventure (lucky duck). This summer, my fashion remixing skills have been put to the test. I'm spending the summer in southern California (not rough duty) with just two suitcases of clothes (Check out what I packed here.) Since I have a limited wardrobe, I've been getting a lot more creative with my outfits than I usually am at home, which has been fun! Today, I'm going to show you how I wore one dress three different ways! First up, I wore this brightly colored floral dress from Basement boutique in Flagstaff, AZ as a dress. Nothing groundbreaking style-wise, but I loved that it made me feel girly and I adore the vibrant floral print. I paired the dress with Steve Madden shoes, a Gap belt, a thrifted necklace, and my favorite Michael Kors watch. It was the perfect ensemble for lunch with some old friends when I was at home in Scottsdale earlier this summer. For the second (and my favorite) way I wore this dress, I tucked it in to a skirt I picked up at Gap, and paired it with some comfy black wedges by the brand R2, and Kendra Scott earrings my sweet husband bought for me as a gift. If there is one thing I've learned about packing for long trips, it is that cute jewelry takes up very little room in a suitcase, but has major outfit-changing potential! 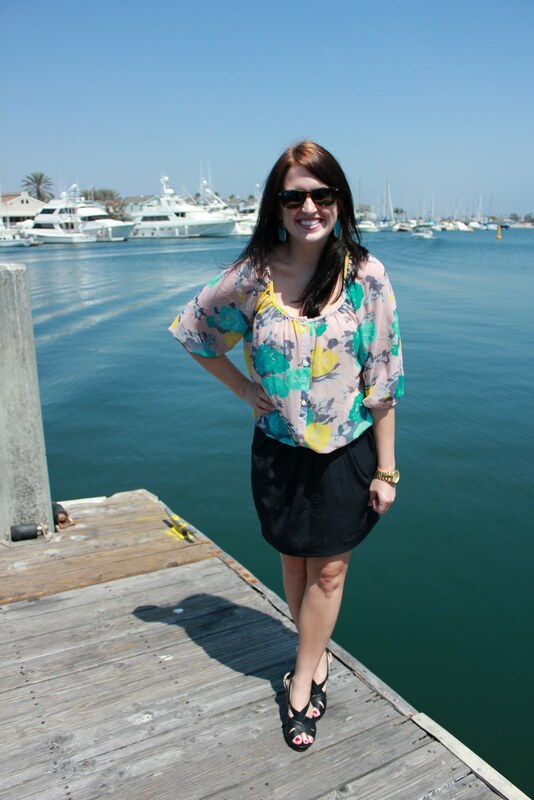 I wore this little outfit to Woody's Wharf in Newport Beach for a little lunch by the water with my family. Finally, I made this dress a lot more casual by pairing it with one of my favorite pairs of jeans from Uniqlo, the same wedges as outfit #2, and the same necklace as outfit #1 (worn as a bracelet). This was the perfect outfit for cooler California evenings when I met some new friends for drinks and dessert. A big thank you to Brooke for letting me fill in here today for her, and I'd love to see some of you over at Best of Bklyn! Thanks for letting me do a guest post, B! Have fun in Turkey! B Giddy: Happy Birthday just B!